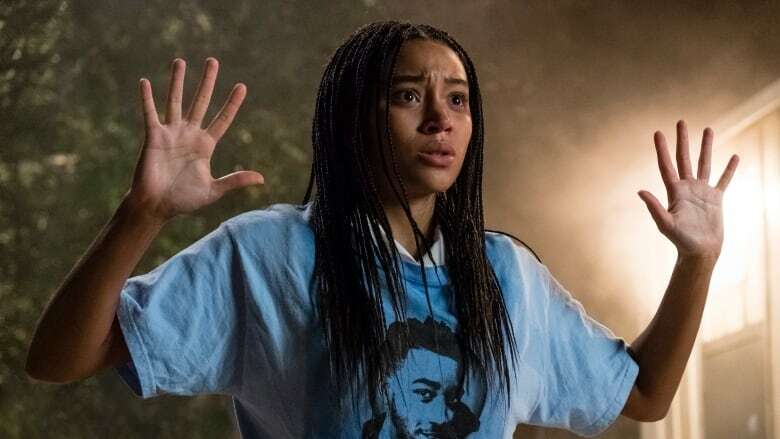 Young adult books like The Hate U Give are prime source material for Hollywood because the genre, even when tackling complex or controversial subject matter, is dedicated to being accessible to a wide audience. A black father drills his kids on exactly how to act when they will inevitably be stopped by police: it's a sobering passage from Angie Thomas' novel The Hate U Give and a talk happening in plenty of homes today. For the director of The Hate U Give movie adaptation, this very particular talk was also an opportunity to set an important and immediate baseline for his movie: challenging an audience's biases. "Fade up and you see a young man with braids and tattoos. You immediately go to think: 'He's a gang member. He's a bad guy.' And as the scene continues on ... a completely different thing is actually happening," director George Tillman Jr. said in Toronto in September, describing the scene in question. "Then, you see this conflict between probably the mom and the husband. You wonder [if they've] got a bad relationship. But, no, then you can see she is holding a young boy ... That's what the book does, throughout the whole novel. We felt like we wanted to do the same thing with the film." 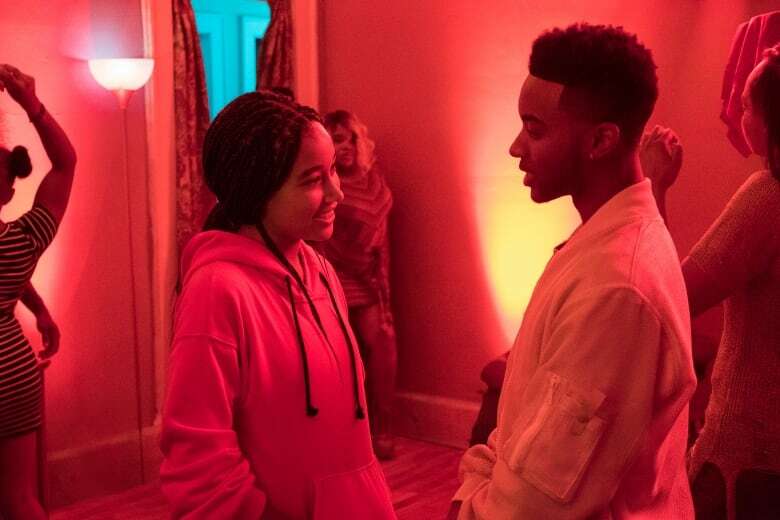 Today, young adult books (popularly dubbed YA) like The Hate U Give are considered prime source material for films because the genre, even when tackling complex or controversial subject matter, is dedicated to being accessible to a wide range of readers. Snapping up Thomas' book — which has spent more than 80 weeks on the New York Times bestseller list for young adult literature — was a smart move for Hollywood, said Canadian author and book critic Jael Richardson. YA is "something that young people can get into and break apart and analyze," she explained. "[Authors are] thinking of a whole bunch of people from different backgrounds who need to be able to move through the text in a particular way ... Because there's so much thought about the readers and how they navigate the text and the language — it makes for a really accessible read for whomever picks it up." Like Thomas' bestselling 2017 novel, The Hate U Give movie dives into the Black Lives Matter movement through the story of Starr Carter. The teen must juggle code-switching between her home life in a predominantly black, middle- and lower-class neighbourhood and the upper-crust, predominantly white prep school she attends. Her world is upended when she witnesses a police officer fatally shooting her childhood friend. Seeking out the human stories behind the headlines is a thread running throughout the movie, being released gradually in theatres this month after having its world premiere at the Toronto International Film Festival in September. "When I read it, I felt like I had never seen such an accurately represented and fresh and original and contemporary portrayal of a young black woman in America," said Amandla Stenberg, the 19-year-old actor who portrays Starr. Racial profiling and the killing of unarmed black people is "not just a media issue," she said. "It's not something that happens just in headlines and in the news. It's something that is personal and real and human." For a group of teens who attended a preview screening in Toronto on Wednesday, the book and the movie hit home. "I've dealt with this. My family, we've lost people to gun violence," said 16-year-old Olivia Cuff, a member of the Toronto Public Library Youth Hubs program who said she devoured the novel in just three hours. "No one should have to lose their sons, their fathers, their grandfathers, their brothers, even their sisters [this way]. No one should have to see, at their last moment, a gun pointed at their face." 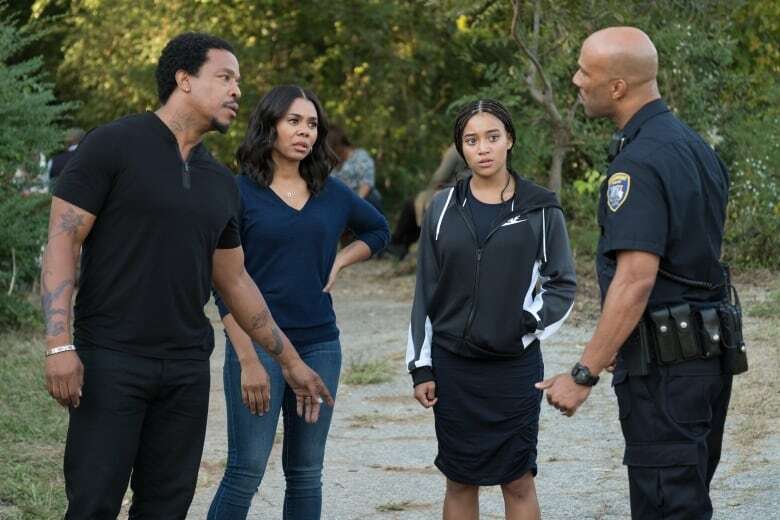 "The context of this movie is something a lot of people feel alienated from and can't relate to," noted actor Anthony Mackie, among The Hate U Give's cast that also includes Russell Hornsby, Regina Hall, KJ Apa, Issa Rae and Common. The movie makes these issues relatable and eye-opening for a wider audience, he said. "Now you have a way to relate to the subject matter ... What happens if that's your son or your nephew or your cousin or your brother? It changes the dialogue very quickly." 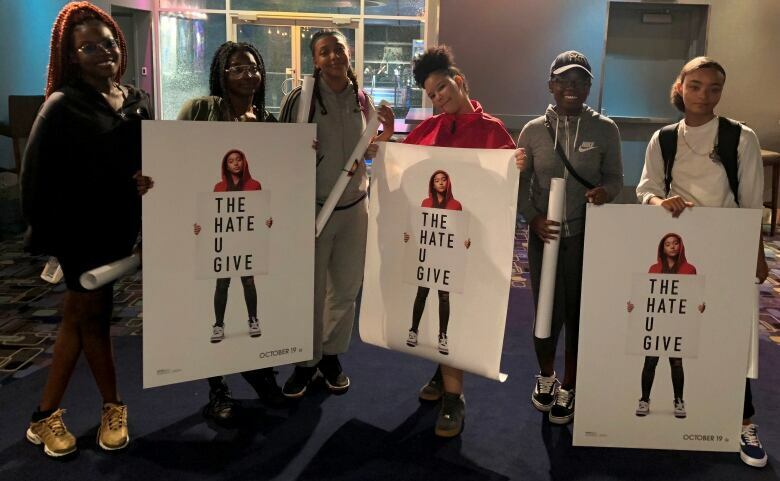 For The Hate U Give author Thomas, witnessing audience members react in unison to the movie was "so amazing," she said while in Toronto for the film's TIFF premiere in September. Recalling the audience's collective gasp at the movie's intense police shooting scene, "part of me was like, 'You guys had to know this was going to happen.' But ... that's how invested they were in the moment. They forgot about the drill [about being stopped by police] or they forgot what this story is about. They were so invested in that moment ... that they literally gasped and you could hear sobbing," Thomas recalled. "It's one of those things I don't think I'll ever forget." Book critic Richardson — a former writer-in-residence for the Toronto District School Board who said she wished The Hate U Give had been around when she was a high schooler — noted that teachers have told her they've brought the text into their classrooms and added it to reading lists. 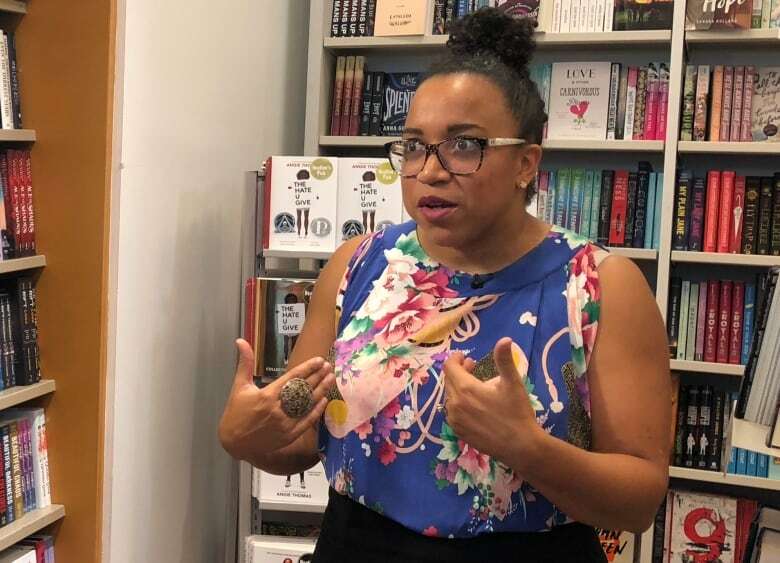 In addition to introducing literary characters to whom black students can relate, "a book like this is particularly powerful for white students to be able to understand people they might not know very well, people that they might not have direct relationships with [and] stories that are so important to understanding the politics of our world," she said.